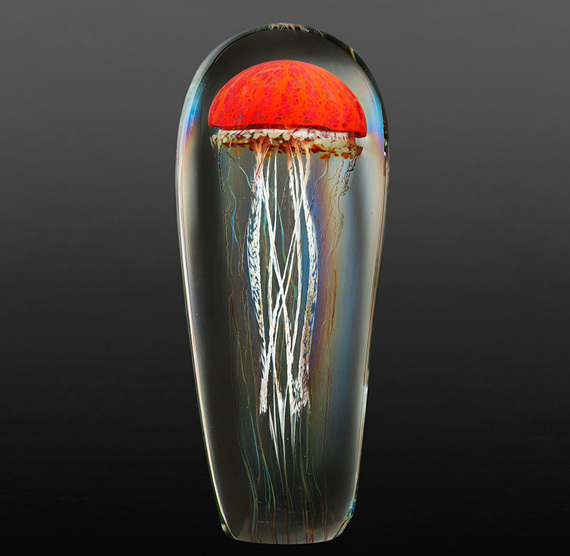 The art glass that Richard Satava creates is based in nature themes and motifs. 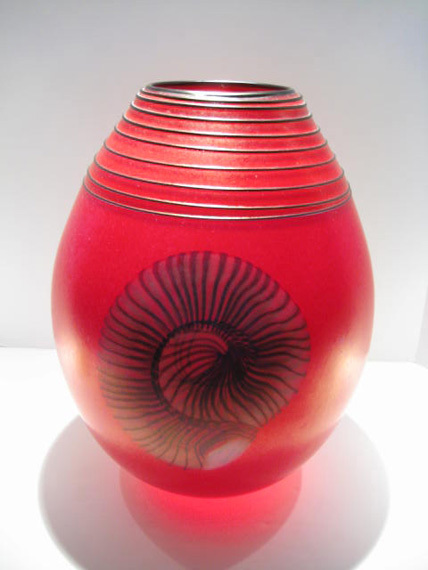 When first starting out in the late seventies he mostly worked in the art nouveau technique, like many, because that was the accepted art glass style at that time. 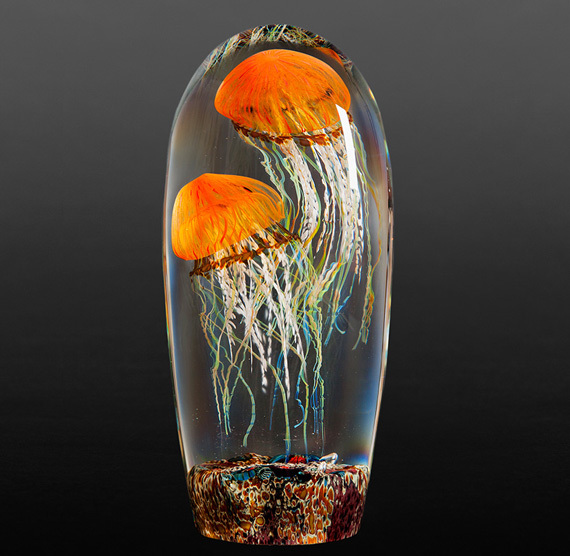 Just a few years later his work took off into a different direction, incorporating more of his own style, creating new looks in pictorial nature scenes with designs like the Harvest Moon and Mount Shasta series. 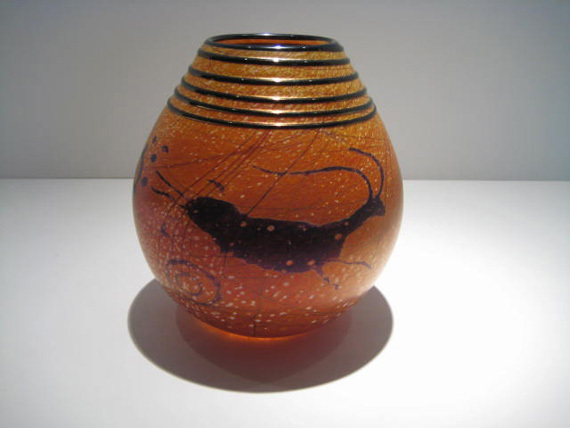 Continuing this theme he also created various floral lines, as well as, a series depicting images of Native American drawings. 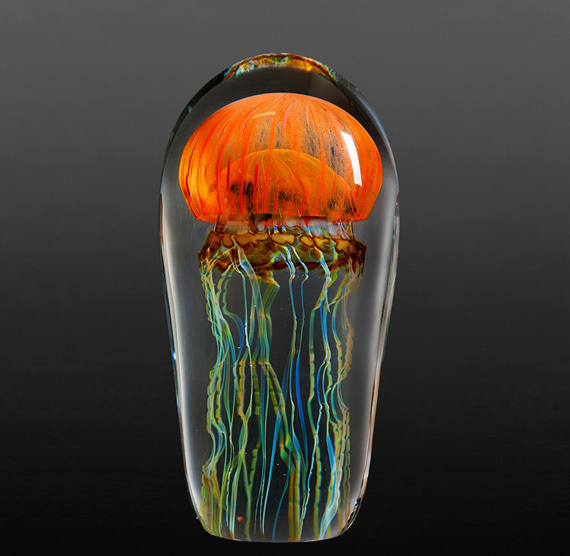 All of these designs have evolved throughout the eighties and nineties, and continue to be created with new colors, shapes and inspiration. 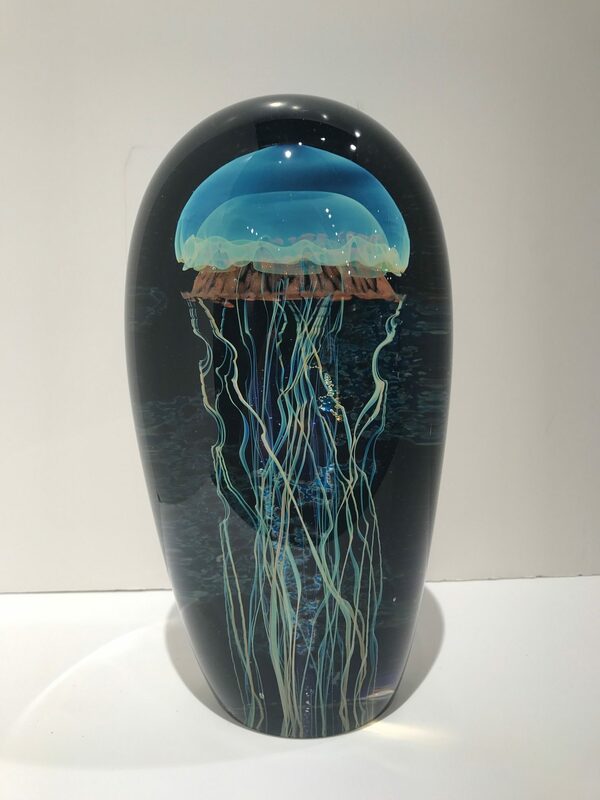 During most of the 1990s he started to focus more attention on ocean life and nautical themes, creating the Moon Jellyfish and Nautilus series. 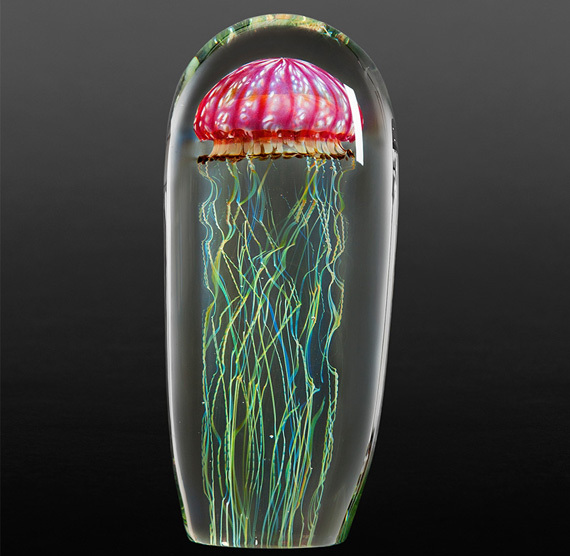 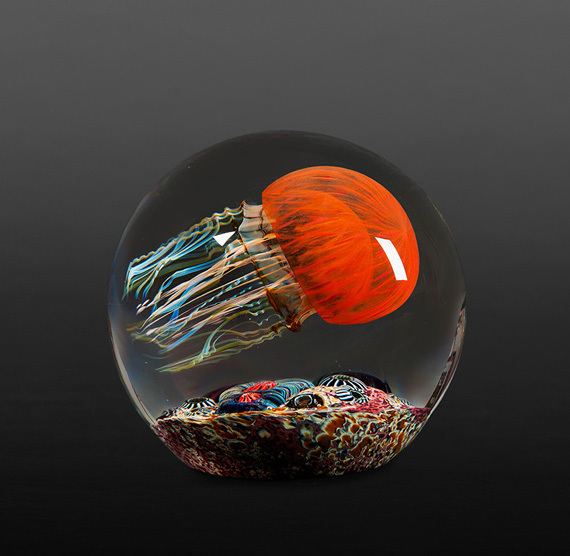 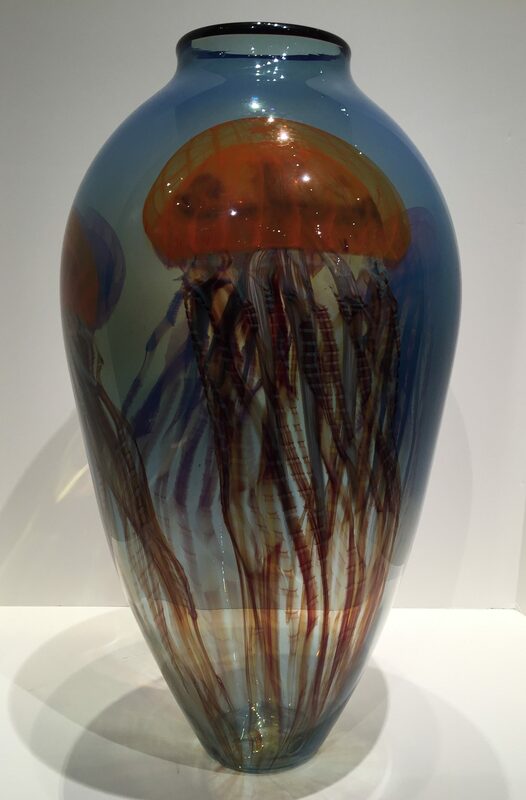 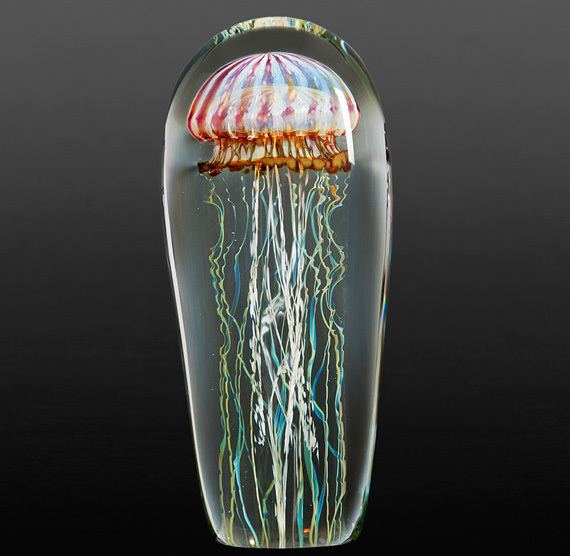 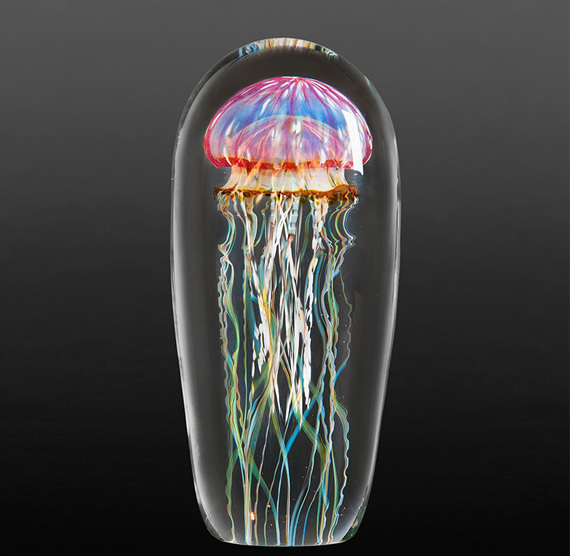 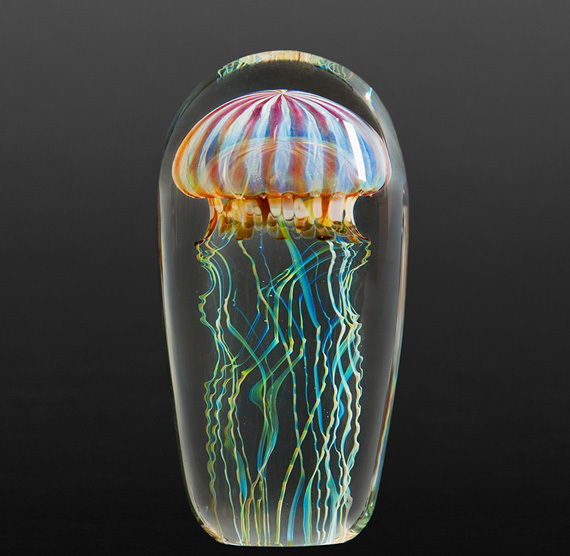 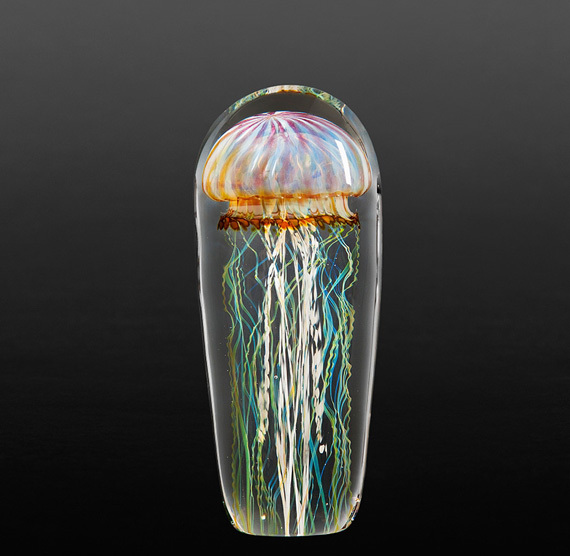 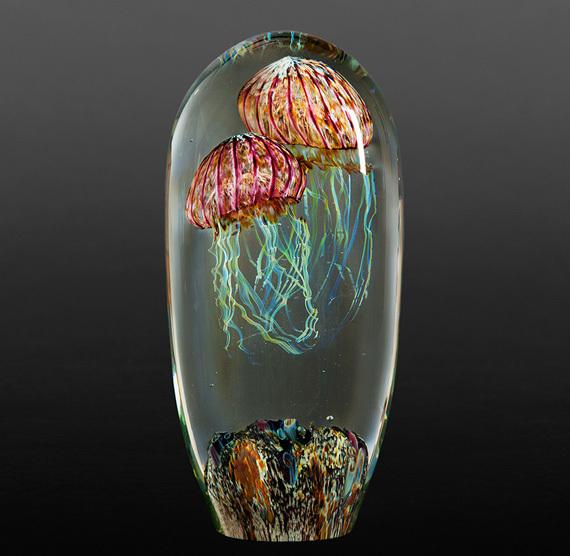 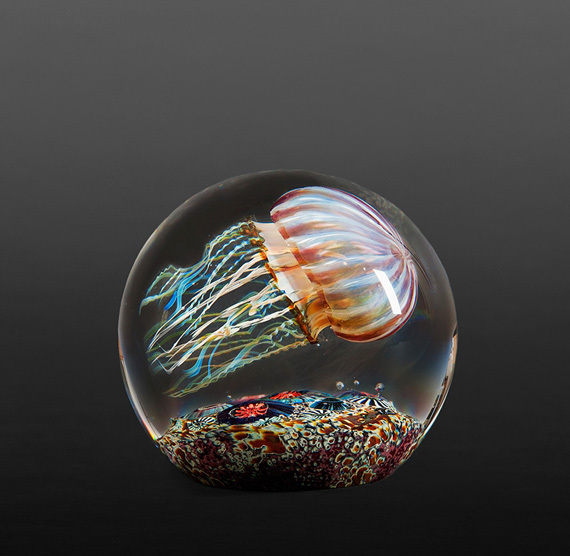 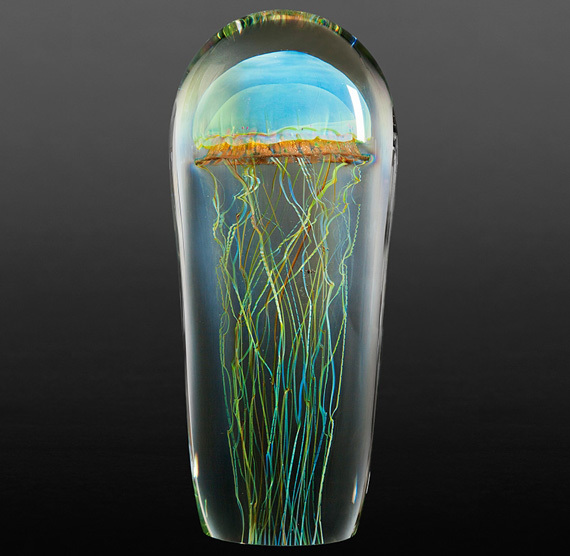 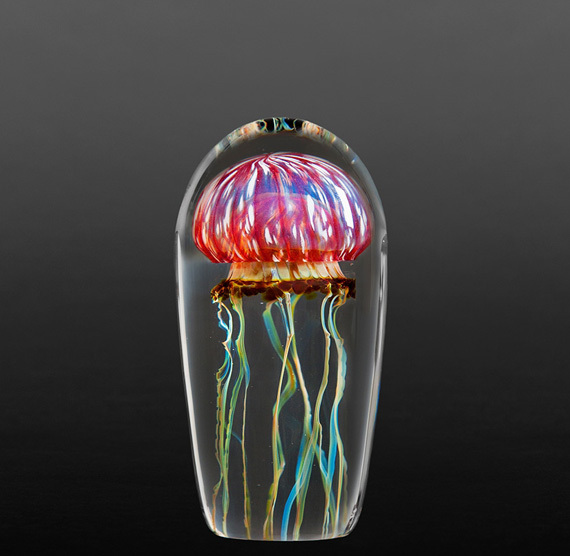 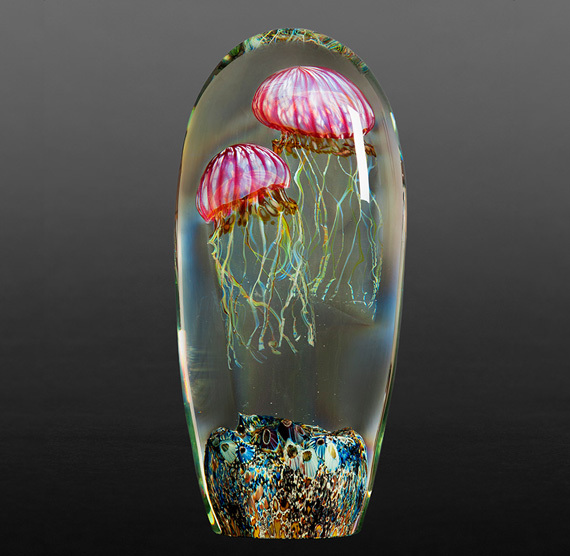 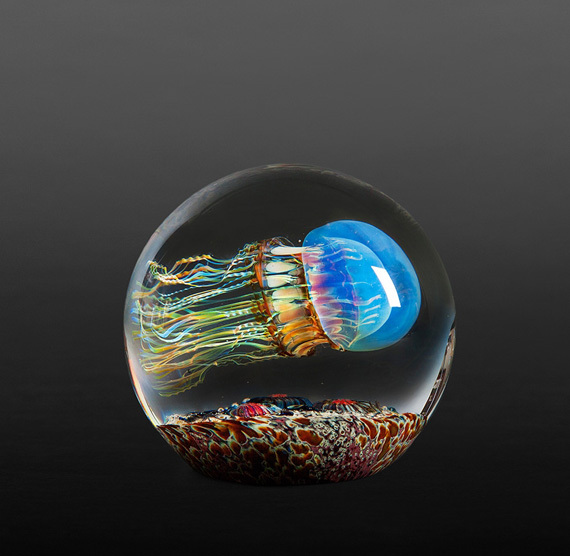 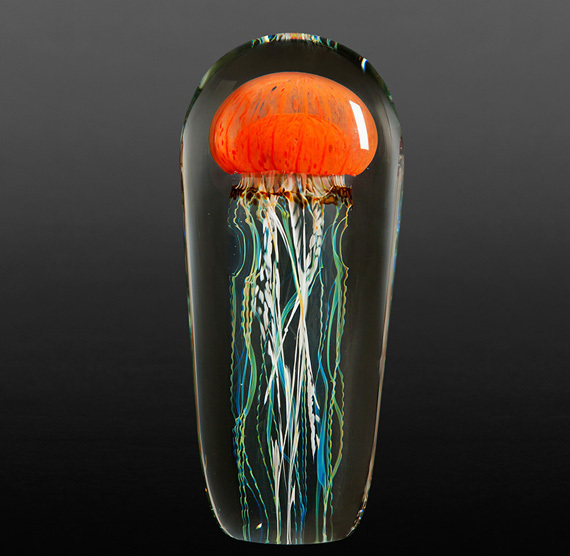 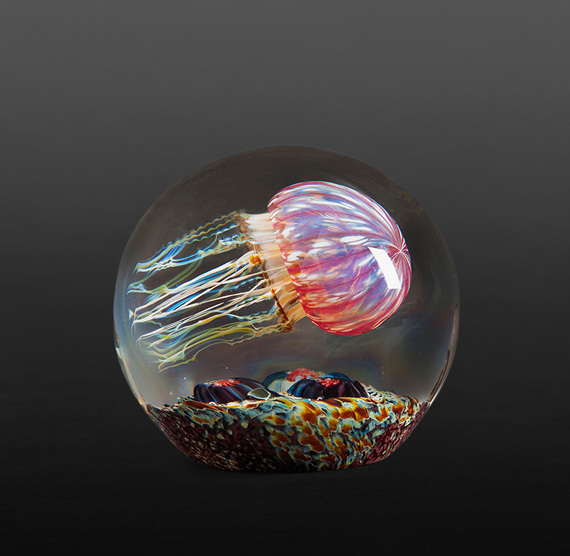 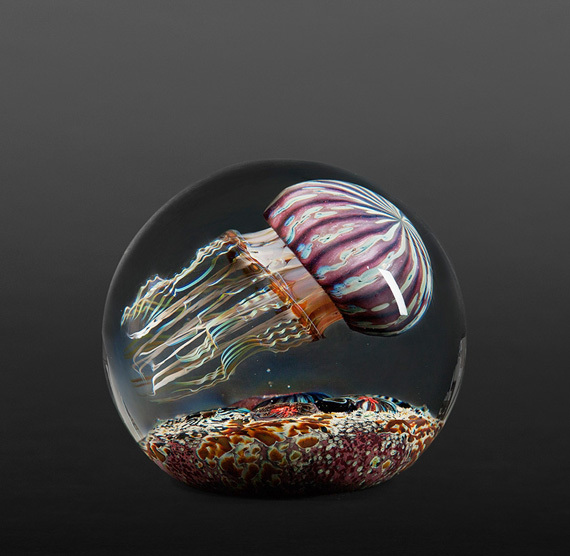 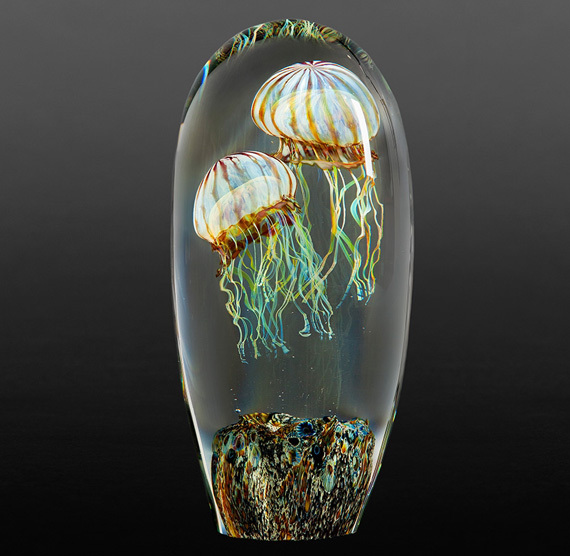 Stemming from a visit to the Monterey Bay Aquarium, which enabled him to view pacific coast jellyfish in an exceptional setting, much like viewing art at a gallery, he knew then that he needed to capture the nature of the jellyfish in glass. 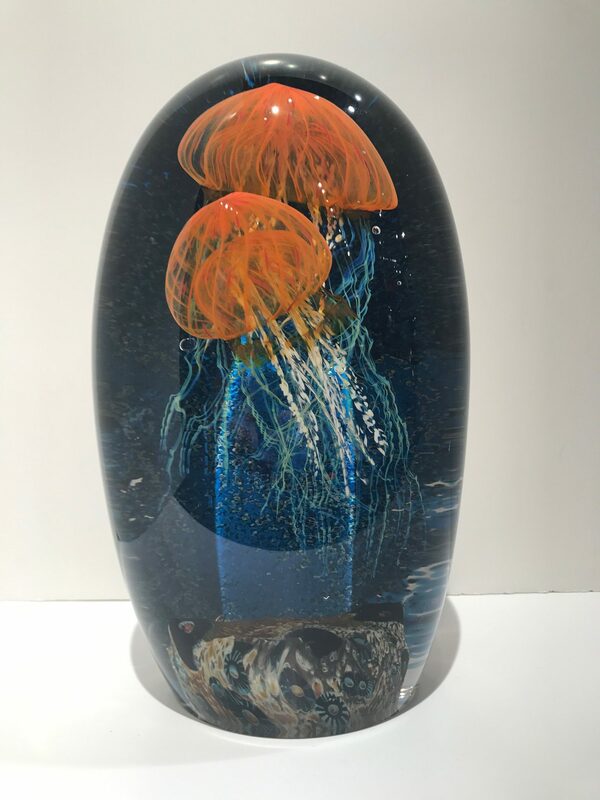 After spending three years experimenting with various formulas to achieve the translucent colors needed to make the jellyfish, finally by 1995 the series was ready for display. 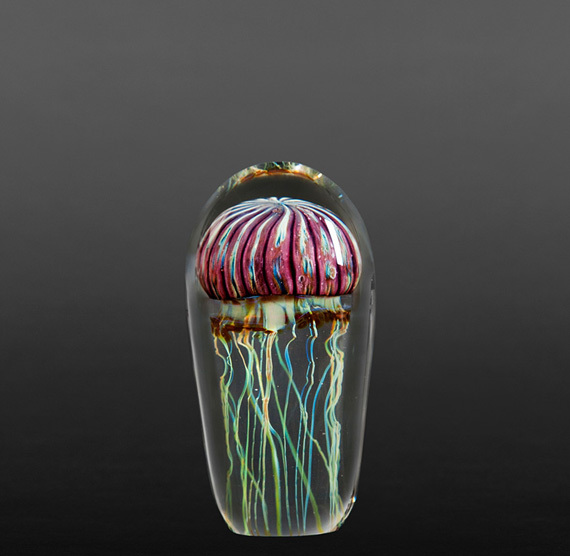 Satava uses ancient techniques to create original designs in handblown glass vases, bowls, perfume vials, paperweights, sculptures and other works. 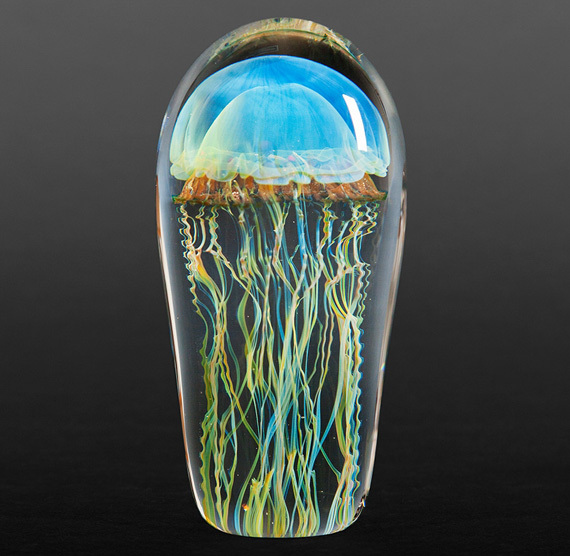 He designs and creates each one of a kind piece, all from glass that he has formulated and made himself. 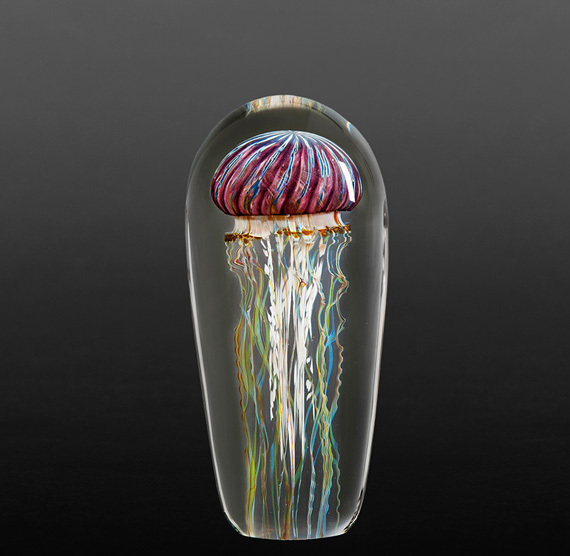 Through his own exclusive color formulas he is able to create rich arrays of colors by blending various metallic oxides such as silver, cobalt, selenium, cadmium and others into the molten glass. 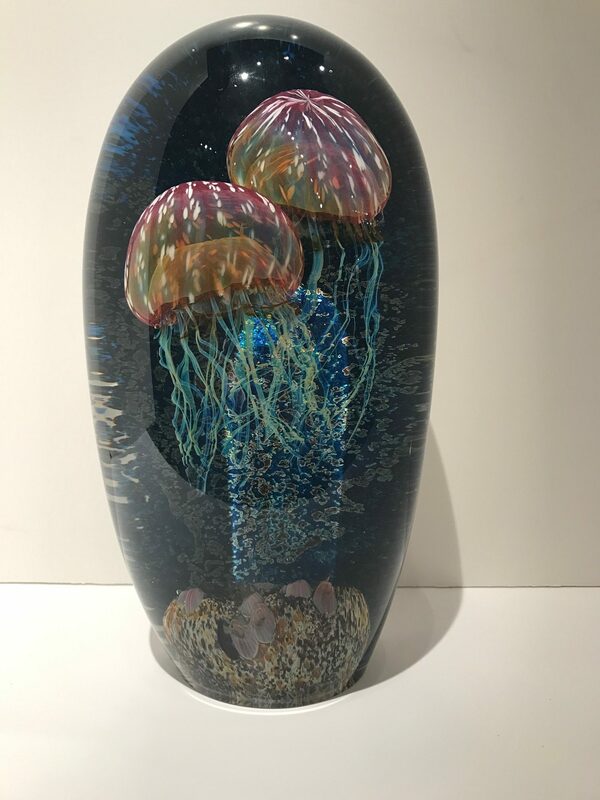 Widely known for his brilliant red, rich blues, metallic blacks, aquatic looking blues and greens and others, his creations are sought after all over the world. 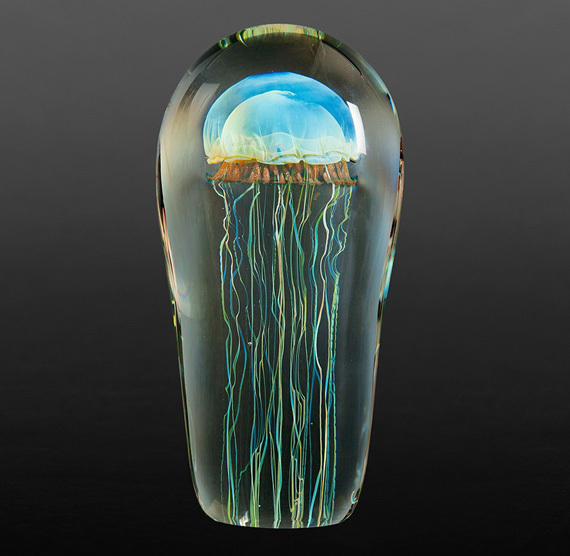 In all his works, Satava achieves remarkable detail and dimension. 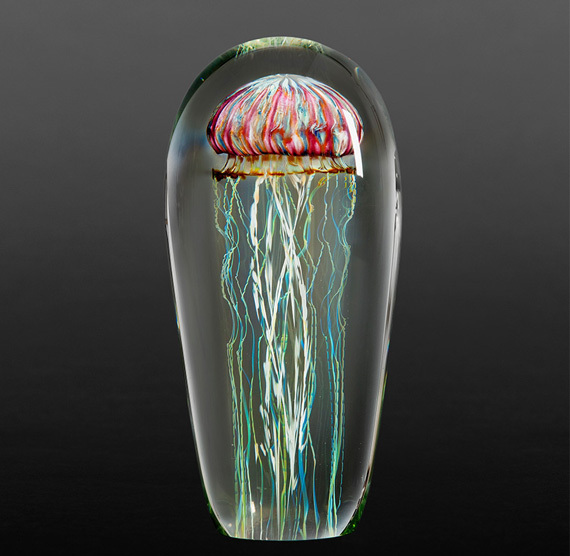 While a piece is on his blowpipe, his torch melts colored rods of glass to create precise images on the surface or suspended within layers of clear glass. 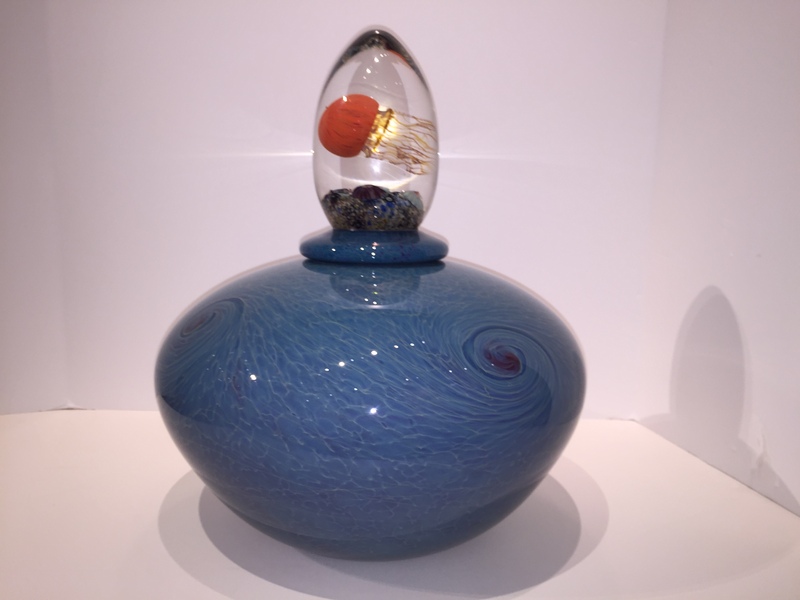 Each piece is blown and shaped without the use of molds, then signed, dated and numbered.